He is now known as one of the greatest artists of the 21st century. He has implemented a technique which was not established beforehand. He has explained that art is meant for all, and that expression of an art form comes from the person within, and not the academy or expensive paint. His name is Pollock, Jackson Pollock. Years of research gave us a perspective on his work and the structure he used in painting. He has been promoting that art is for everyone, and one does not require a special equipment or paint to deliver a piece of art. 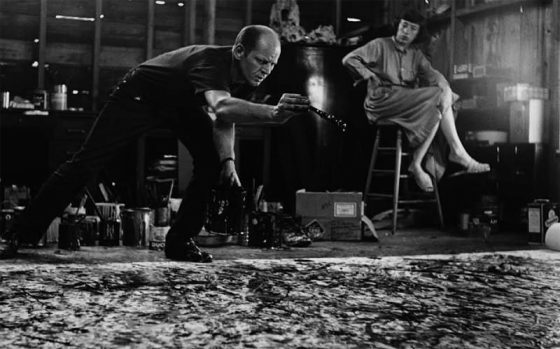 His technique, the Pollock technique, is nowadays taught in the art academies, as he created the most famous paintings of the 20th century. Where can we find structure within this technique? First of all, for the purpose of drip painting, he was using synthetic, industrial paint typically made for car sprays or interior design purposes. This type of paint was easier to drip over the canvas, and it was also cheaper. His paintings were progressing over time, he would have layers and layers of paint on the canvas, letting one layer dry, and then drip the next one. The authenticity of his work is this three-dimensional atmosphere on the canvas, which comes with the fact that his paintings can't really be reproduced. 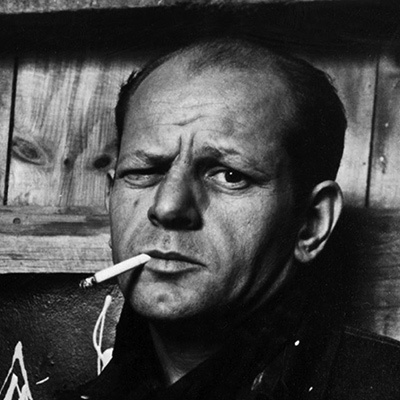 Regarding the colors, Pollock was using black and white as a primary contradiction between his and everyone's else's practices. Although black and white are dominant colors, he was often surprising us with unexpected colors splashed across the painting, such as orange, yellow or green. He also used glossy colors in the final layers, to outline and highlight significant surfaces. In some of his paintings, such as Number 3, 1949: Tiger, it is difficult to understand in which order was the colors applied to the canvas. He was using them in different stages, letting the colors communicate over the process of making a painting. Although there were an original structure and a decided technique of his art, it seems like he often let things happen, making decisions at the moment. 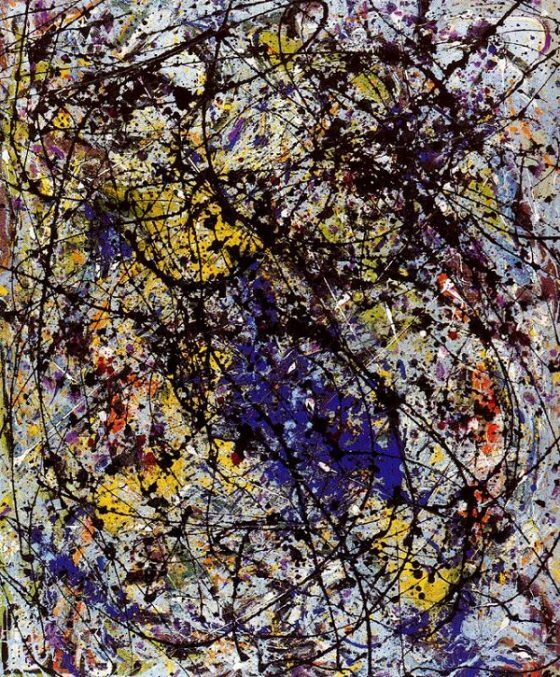 Although at a first glance these paintings may seem chaotic and without systematic order, what we can learn from Pollock's technique is how to understand space, shapes, colors, and movement of a still art peace. His basic contradiction made by black and white created a space for living colors to interact and mix on the canvas, giving an impression of a living painting, a painting that moves and tells a story.